Hundreds and thousands of handsets are misplaced or stolen everyday in India leading to depressed mobile phone users. Well, here’s a treat for all Android users who are afraid of losing their smart phone. 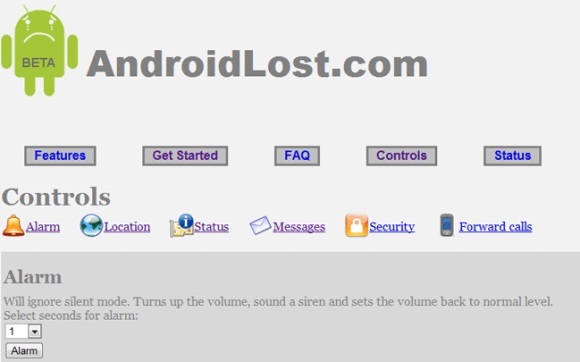 A free app called AndroidLost enables you to remotely control your android phone from the internet or by SMS. It’s a simple procedure, just install the app on your Android device and enable it. Next go to www.androidlost.com and login through your Google account, the same account that you registered your Android device with. Your device will be linked and you can control it. You can read SMS messages, lock it, erase its content and loads more.